Features milk thistle seed extract providing 56 mg of silymarin by HPLC analysis. Milk thistle seed extract is noted for its antioxidant properties and support of healthy liver function. 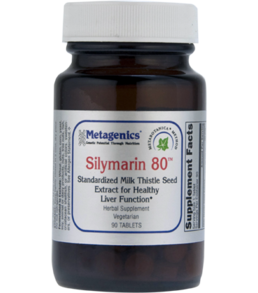 Supports healthy liver function and helps protect liver tissue. Other Ingredients: Microcrystalline cellulose, stearic acid (vegetable), silica, and magnesium stearate (vegetable).